Introducing Computing in the Early Years Foundation Stage. Ideas for activities & continuous provision incl. assessment. 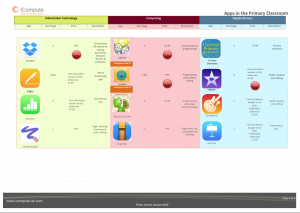 Creative EYFS computing lesson plans & resources. 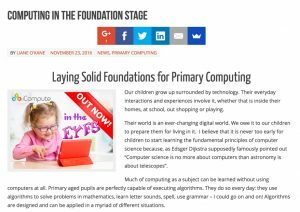 This post has now been superseded by an updated version – Computing in the Early Years Foundation Stage. 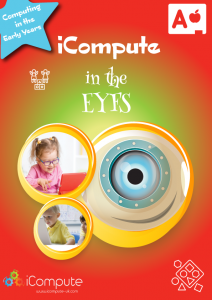 Click the link or the image below to visit the new version, which gives more details about the benefits of introducing children to computing early and has further details about our computing in the EYFS scheme. A SCHEME which has helped teachers across the world cope with a shift in the national curriculum is up for a prestigious award. 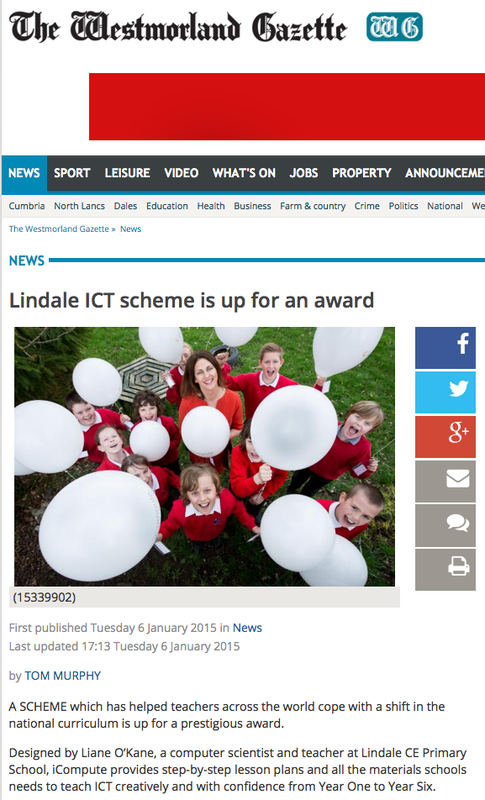 Designed by Liane O’Kane, a computer scientist and teacher at Lindale CE Primary School, iCompute provides step-by-step lesson plans and all the materials schools needs to teach ICT creatively and with confidence from Year One to Year Six. It launched six months ago and has been taken on by schools across the UK and in many international schools, as far afield as the Middle East, Asia and North America. And now the product has been shortlisted as a finalist in the BETT Awards 2015 in the ‘Primary Digital Content’ and ‘Best Whole Course Subject Curriculum Resource’ categories. “We are thrilled to have been shortlisted for two, much coveted, Bett Awards, which are considered to be the highest accolade in the industry,” said Ms O’Kane, a computer science graduate from Newcastle University who has also worked as a software engineer for blue-chip companies. “We knew that teaching computing as part of the National Curriculum would prove a challenge for many schools because the vast majority of primary teachers have never been trained to teach it. “So we developed iCompute specifically to support teachers who are not specialists in computing. We’re delighted it has resulted in schools feeling more confident about teaching computing in creative, engaging and challenging ways. Moving away from the previous ICT curriculum, which focused primarily on children’s ability to use technology, the new curriculum is designed to equip children with the knowledge, skills and understanding of computing that they will require throughout their lives. The winners will be announced at the annual dinner, hosted by comedian Josh Widdecombe, at The Brewery in London on January 21. For more information visit www.icompute-uk.com.